Cleaner Acton employs a team of professional gardeners in Acton W3. Our gardening services include hedge trimming, lawn mowing and garden cleaning. The garden is a place which can bring you comfort after a long day at work. It is also a place where you can express your artistic abilities and use your imagination. In order to turn your garden into a beautiful piece of land, you might need a little help from someone who knows more about it. Through our professional company you will be able to discover the perfect specialist for you who will turn your garden in Acton into the most beautiful place in your entire real estate property. There’s no need to worry any more about the effect of the weather conditions or about the invasion of the different pests because our professional gardeners will think about everything and will provide your property with strong protection. Whatever garden you have, you can be certain that its transformation won’t be a problem for our excellent professionals. 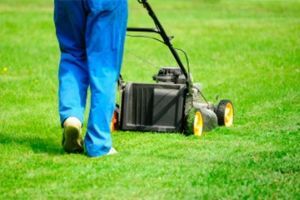 They have been in the business long enough to know what are the best methods for cleaning or maintaining of a garden, regardless of its current appearance or size. The experts who work for us will listen to all of your requirements and desires and will think of the easiest and fastest way to turn them into reality. If you need specialists who use only the newest and most effective tools and machines and who are organised and reliable, then you should definitely come to the office of our company in Acton. For only one day and in exchange of the lowest possible price you will have the garden of your dreams thanks to the amazing professional gardening services of our agency. We are sure that you will find each of our treatments to be very useful and also very affordable. Getting in touch with our friendly customer service operators will give you the chance to learn more about the nature of each of the professional gardening services Cleaner Acton offers, as well as book the one that you need most at the moment. The call centres and the main office of our company in Acton are working constantly every week without missing the holidays or the weekends. We will be very happy to meet with you in person in our headquarters because that way we will have more time to talk about our future work together.